﻿Promoting your business at trade shows is tough work, especially if you don't have the banners and signage needed to make you stand out. Don't worry though, we have you covered! 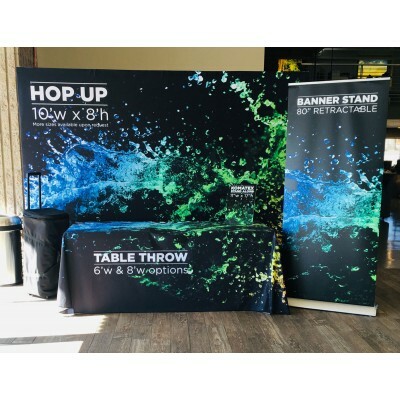 This trade show banner package includes everything you need. 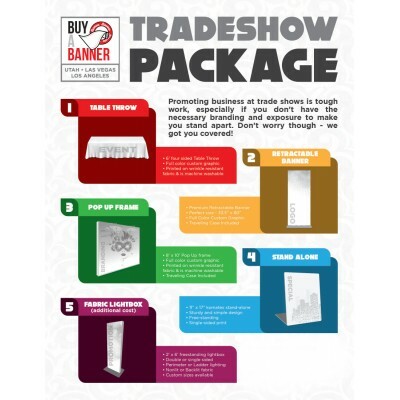 If you only need vinyl banners without the trade show extras go here.